For last minute (visit within 3 days) ticket purchase, kindly proceed to LEGOLAND Malaysia Resort's ticketing window. Present valid Maybank Card & E-ticket upon enter to the park. 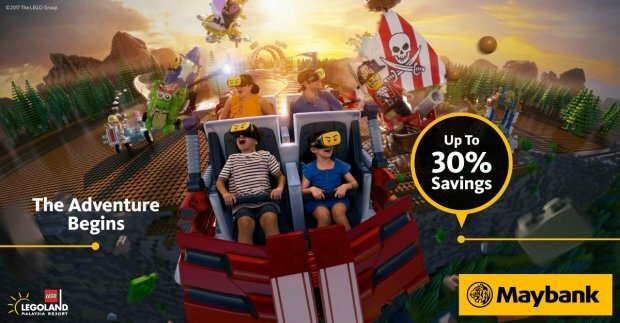 Check out Legoland Malaysia Promotion for more details about this offer and to book your tickets now!